In the Pontic mountains facing the Black Sea a flurry of white tents and wooden stands take shape in the lush and narrow valley. Kusköy, a remote Turkish village, is poised to become a center of attraction for the duration of its annual festival. Hazelnuts, tea, and other local products bellow out their aromas into the mountain air alongside dancers and musicians that rehearse their lively acts. In the center stage whistling is being practiced too as if cheerfulness reigned while visitors of all ages are awaited. Unexpectedly, these whistlers are none other than speakers of a half millennium old language known as Kus Dili. The festival was organized around a contest to preserve their whistled language, and the cheerfulness is attenuated when year after year the swarm of tourists ignore this event in favor of the comestibles. The bird-like language, which is the origin of Kusköy’s name (for it means village of the birds) is a direct transposition of Turkish. Any combination of words can be reproduced in Kus Dili, as well as slang, inciting the village jury to prepare complicated phrases for the contestants. As they endeavor, the jury stand is set up one mile away from the stage. This is due to the whistles’ high amplitudes which have for centuries allowed seasoned farmers and shepherds to communicate from hilltop to hilltop. Only now their unseasoned and younger counterparts use speed dial for the same purpose. Indeed, cellular phones are a serious threat to Kus Dili, worse than the arrival of electricity in 1986. In fact when René Guy Busnel, one of the only academics dedicated to Kus Dili, arrived in Asia Minor in the 1960s, even adolescents whistled for his documentary, and few villagers felt their language was endangered. Notably, Busnel is also one of the only phonologists to have applied x-rays to the study of whistled languages. He proceeded to scan the mouth and throat of Kus Dili speakers to determine differences with spoken Turkish. The results showed similar movement of the phonatory organs but also differences in the tongue’s placement and the volume of the buccal cavity. The tongue’s tip must have a pressure point either against the teeth or against a finger placed inside the lips. Fingers are often used because they help keep the muscles independent. Rialland, who briefly covers Kus Dili in an academic journal, explains that Turkish with its 8 contrastive vowels and vowel harmony has a more complex vowel system than Spanish, the language behind another whistled variety, Silbo Gomero. This being, the transcription method is no more complicated. Relative pitch ranges express vowels with accentuations produced by a raise in pitch or extended duration. On the other hand, the absence of sound or transitions in pitch create consonants. Sonograms which are widespread in Busnel’s works allow the exact range and specific frequencies to be measured for different Turkish words. In any case, outsiders only distinguish about twenty different sounds but the precision of the transitions, occlusions, and tones allow clear-cut communication between speakers. So clear-cut in fact that several families have admitted using codes to prevent neighbors from understanding their whistled language. This very much corresponds to the autarkic society of Kusköy described by Busnel. The families live very secluded from one another and since the summer festival is not sufficient in bolstering enthusiasm in Kus Dili, what will remain to promote the language? 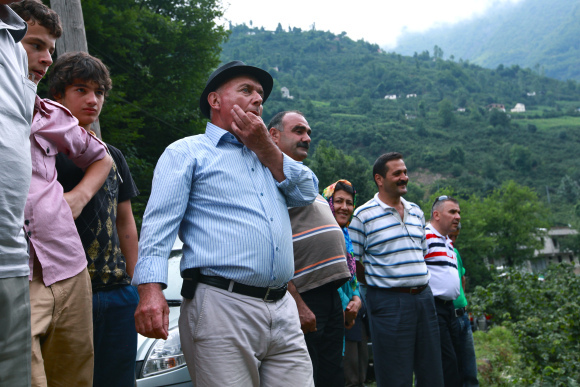 While Turkey boasts a greater quantity of speakers than Greece does for its whistled language, a few decades may be enough for the entire vocabulary to become a code. A code lost to history that would rejoin the world’s truly most ancient whistled code, the language of the birds. For an overview of our translation expertise, visit our interpretation service page.